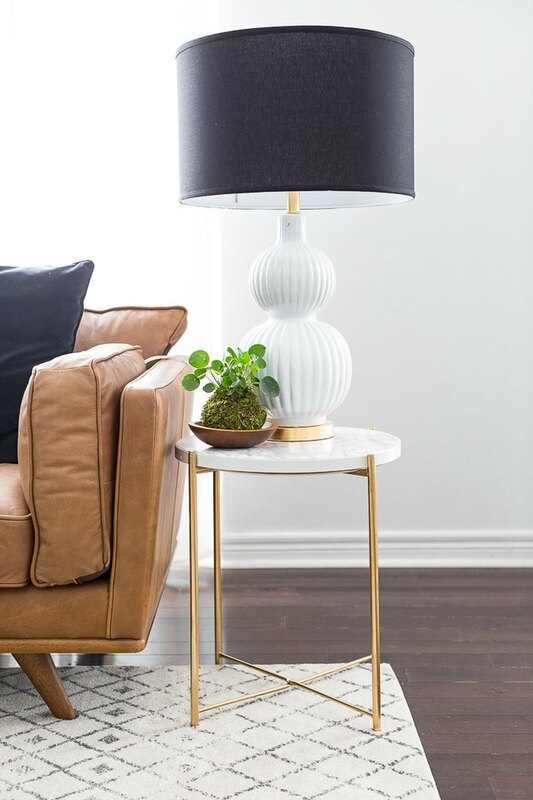 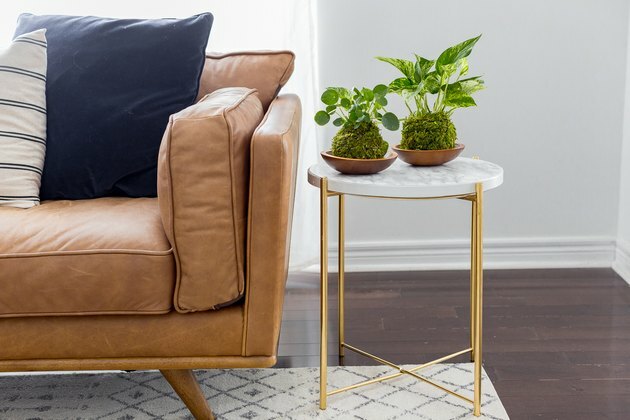 The GLADOM table is adorable as is, but with this easy IKEA decor hack, we were able to turn a budget-friendly side table into a chic and expensive-looking piece without the hefty price tag. 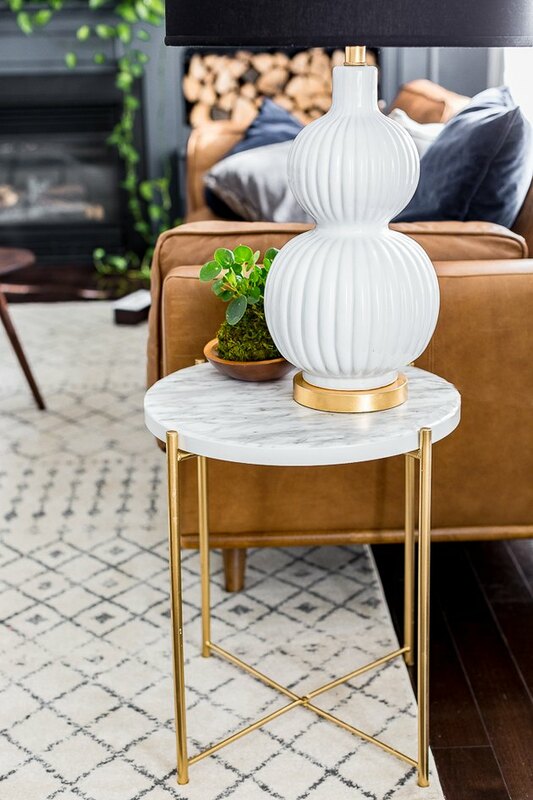 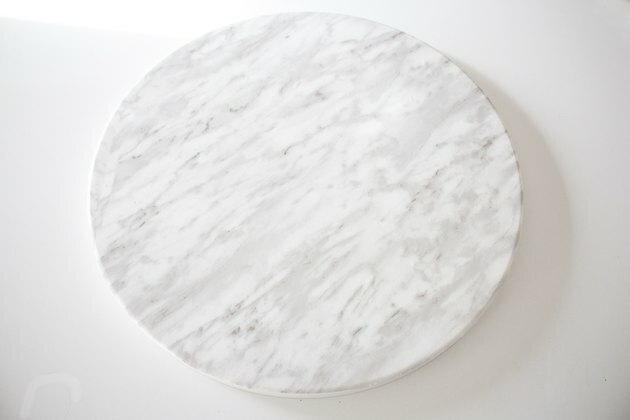 The combination of marble and gold is simply a classic. 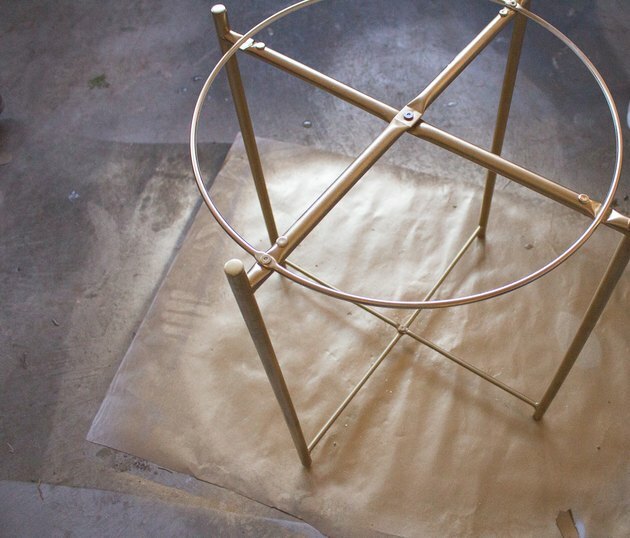 Assemble the table and then spray it a couple of times with the gold paint. 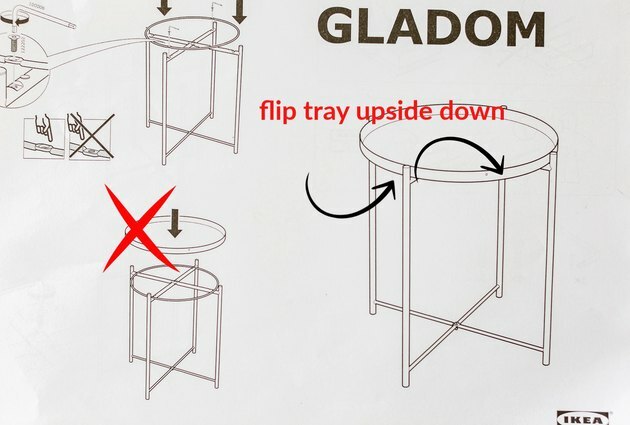 Flip the tray of table upside down. 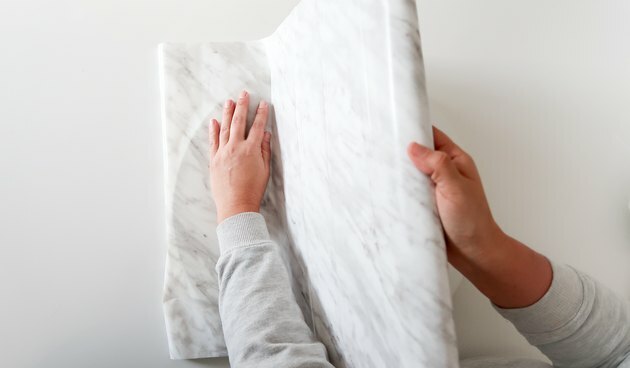 Slowly attach the contact paper to the tray until the top surface is completely covered. 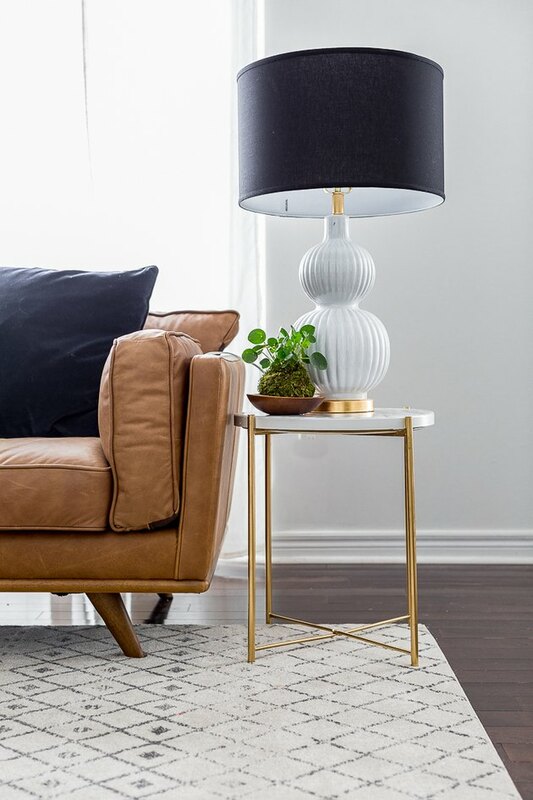 Tip: Do small areas at a time to avoid large bubbles from forming. 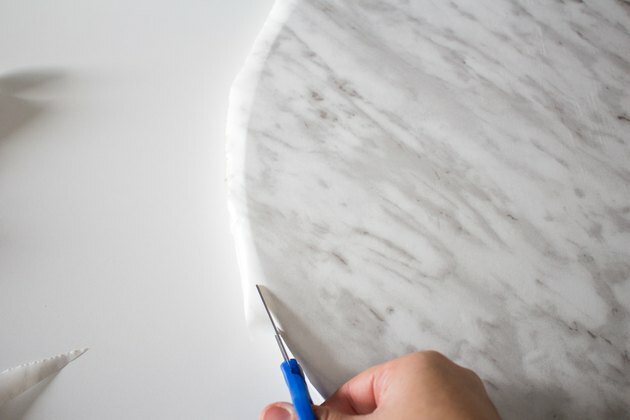 Cut any excess paper around the tray. 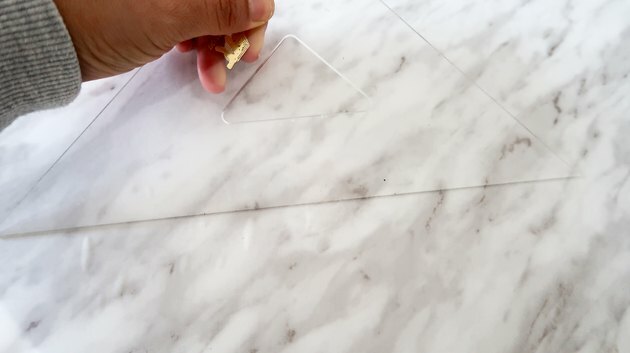 Use a ruler or credit card to smooth out any small bubbles. 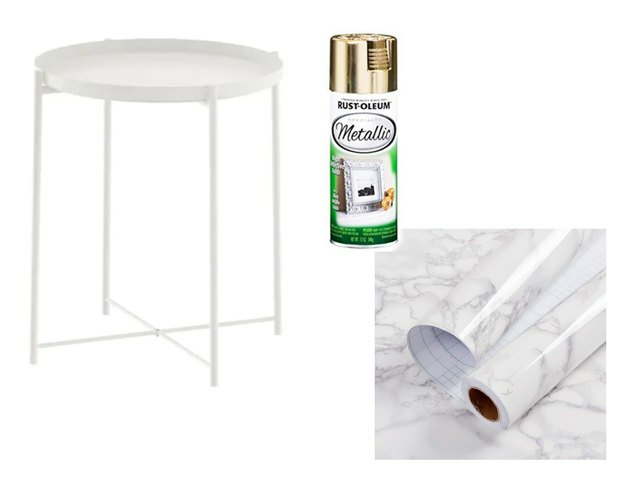 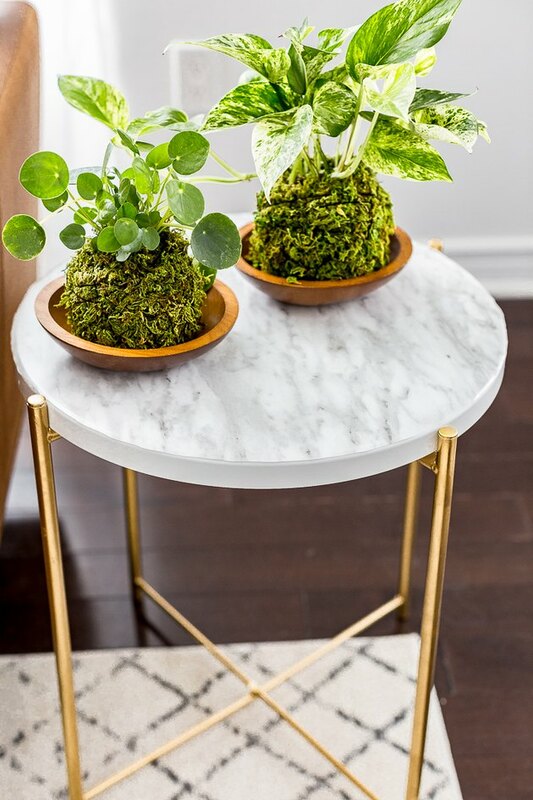 Another alternative for this table hack would be to paint the entire table top gold and add the contact paper, so the side of the table is also gilded.